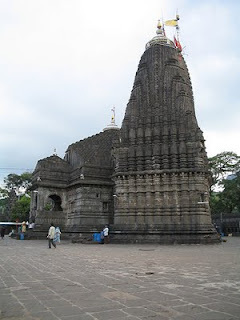 Triyambakeshwar or Triambhakeshwar is a religious center having one of the twelve Jyotirlingas. The extraordinary feature of the Jyotirlinga located here is that it has three faces embodying Lord Brahma, Lord Vishnu and Lord Rudra (Shiva). All other Jyotirlingas have Shiva as the main deity. 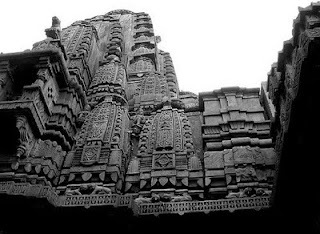 The entire black stone temple is known for its appealing architecture and sculpture and is at the foothills of a mountain called Brahmagiri. The Godavari River, which is considered sacred within Hinduism, originates from Bramhagiri mountains and meets the sea near Rajahmudry. Kusavarta, a kund is considered the symbolic origin of the river Godavari, and revered by Hindus as a sacred bathing place.